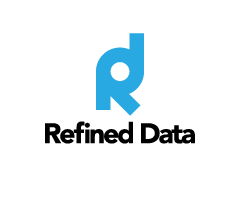 When first using a Refined Data Solutions custom pod, the pod requires a one-time registration for both free trial accounts and licensed accounts. For trial accounts, at the end of the 15 day trial period, there is an option to purchase a full license. Click the video below to discover how to register your pod or read the documentation. 1. The first time you add a Refined Data Solutions custom pod to your meeting room, you’ll need to register with RDS. 2. After loading the pod to the Adobe Connect platform and adding a new share pod to a meeting room, the custom pod will prompt you to activate your account. 3. Fill in the Refined Data Pod Activation form, agree to the End User License Agreement, and click Activate My Account. 4. You’ll be notified your account is activated and you can return to your meeting room. 5. Re-launch the meeting room, and re-open the pod by selecting it from the Pods menu in the Adobe Connect meeting menu bar.